MBnb presents an ongoing series of film screenings organized by Janice Guy and Joe Scanlan. Reservations are necessary as seating is limited. The films may also be viewed by appointment, contact Janice Guy at mail@janiceguy.com. One family as an entire community. Hreash House shows an extended Palestinian family living a collective existence in a concrete apartment block in Nazareth, Israel – a “no-place” of a town with an entirely Palestinian population. 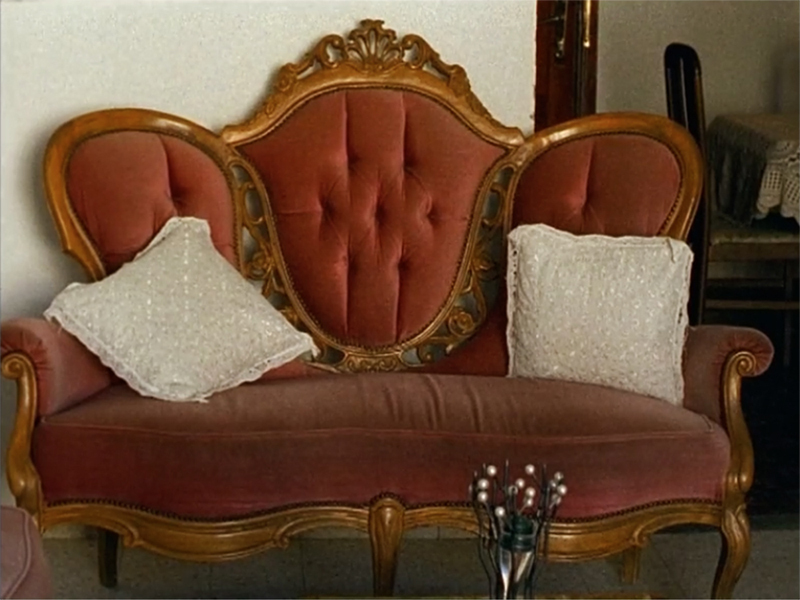 The film is confined to the domestic interior of the family home during Ramadan. Looking at the familiar rather than the spectacular, the film quietly focuses on aspects of the family’s lives and daily activities, at the same time considering the ethical issues of what is framed and where boundaries are set - artistic decisions that are as political as decisions about where houses are built. As dawn breaks a mother breast-feeds her baby, a young man touches his wife’s face and tenderly straightens her headscarf, two lovers tease. It is morning in Turpan, Western China. a small urban center in “The Uyghur Homeland.” With a desert climate so hot during summer months most of the population chooses to sleep on roofs in outdoor beds. Ross shot Rise in 2011 during one of her many trips to the region to observe, document, and contribute to the preservation and appreciation of a vibrant and peace-seeking culture. She filmed the rooftops from above, never imagining the near future when surveillance cameras would become the norm in today’s Xinjiang, a region in which - from 2016 to 2018 alone - as many as 2 million of its citizens have been imprisoned or forced into “re-education” camps. Rosalind Nashashibi works in film, painting, print and photography. Her films combine close observation of everyday life with dramatically constructed scenes, in order to reveal the friction that occurs between the real and the fantastical or mythological. Her works often explore issues of control, internalized in citizens or exerted by the state. She has exhibited extensively in Europe and the US, most recently at documenta 14, Athens and Kassel, The Art Institute Chicago, and Witte de With Center for Contemporary Art, Rotterdam. In 2018 Tate St Ives presented an exhibition of the collaborative film work of Nashashibi/Skaer together with an exhibition curated by Nashashibi and Lucy Skaer. In New York Nashashibi had exhibitions at Murray Guy in 2010, 2013, 2014, and 2016. Her upcoming solo exhibition opens on March 8 at GRIMM, 202 Bowery, New York and will remain on view until April 24. Lisa Ross is a photographer, video artist, and educator. Her works revolves around the liminal spaces in which faith, culture and abstraction meet. Her landscapes explore the skin of the land revealing the texture of culture and the political realities inextricably bound to place. In recent work, she has made repeated visits to and around the Taklamakan Desert documenting sites of Uyghur shrines. Recent solo exhibitions include the Rubin Museum of Art, New York, Seattle Asian Art Museum and Gulf Photo Plus, Dubai. She currently has a solo exhibition I Can't Sleep: Homage to a Uyghur Homeland at MIYAKO YOSHINAGA 547 West 27 Street, New York, on view until March 16th. between Amsterdam Avenue and Broadway A,B,C,D or 1 subway train to 145th Street.